Ming Ming, the world's oldest panda in captivity, passed away on May 7, 2011, at China's Panyu Xiangjiang Wild Animal World. In the wild, giant pandas generally live to be about 15 years old, but Ming Ming was 34 when, despite the best efforts of Guangzhou University veterinarians to stem the effects old age was having on her various organs in recent months, she succumbed to kidney failure. We hope you're able to enjoy a few fun panda facts despite the sad occasion. Why are we so fascinated with giant pandas versus, say, alligators (which are also a threatened species)? The sad truth, as any human who has worn thick eyeglasses since third grade knows, is that one is cute and the other is not so much. Researchers have long studied the science of cuteness and have determined that there are certain "cute cues" that automatically trigger an "awww" response in humans. Large, bright forward-facing eyes set low on a big round face, a roly-poly body, and a teeter-totter gait are just a few of the traditional traits that provoke the urge to hug and cuddle. The panda seems to have been custom-built from the cute cue checklist: those black circles around the eyes (which scientists believe evolved to make them look more ferocious to predators) give them the waif-like look of a Keane painting, and the large facial muscles necessary to constantly chew bamboo 16 hours per day provide them with adorably chubby cheeks just begging to be pinched. A sesamoid is a bone embedded within a tendon (think of the human kneecap); thanks to evolution, the giant panda has a radial sesamoid that operates much like an opposable thumb. This extra digit is a small bone that started out as a standard part of the animal's wrist. Over time, this bone enlarged and elongated and also eventually developed a different type of musculature – one that enabled this "thumb" to be pulled toward the panda's other "fingers." Centuries of evolution have also provided the panda with a shallow furrow in the paw pads between the "thumb" and "fingers," making it easier to hold bamboo stalks while stripping the leaves off for munching. Why Don't They Just Get Busy? Giant pandas have been endangered for years, and their numbers aren't dwindling strictly because their natural habitat is being encroached upon... it's just that the male panda is sort of the animal equivalent of Al Bundy. He spends upwards of 12 hours a day just sitting and eating, and apparently bamboo isn't nature's Viagra. Bamboo has very little nutritional value, so the panda needs to consume about 40 lbs. of the stuff each day to survive. In the wild, pandas have always been solitary animals precisely because each animal requires a huge tract of bamboo for its daily "bread." Wild pandas can sometimes go for years without encountering another one of their kind. Females only go into estrus once per year, and their fertile period lasts a maximum of three days. If there are no males nearby during this very narrow window of time, the female panda will remain cub-less for the year. Because bamboo is so low in nutrients, mama pandas are only able to produce enough milk to feed one cub at a time sufficiently. In the wild, if a female gives birth to twins, she must perforce choose one cub to feed and nurture while abandoning the other to perish. Zoologists have determined that dog's milk is very similar to panda milk, so in many panda preserves around the world lactating female dogs are recruited as wet nurses for these shunned twins. Tiny pink panda cubs are placed among mama dog's blind squirming pups and, if luck is on their side, the panda will find a teat on which to latch. The orphaned babies are kept in incubators between feedings, and trained attendants use gloved hands (in the absence of mama bear's tongue) to massage to cubs' bellies to encourage elimination. According to a 2009 survey, the Sneezing Baby Panda was the third most popular YouTube video on the Internet. That famous nasal moment was captured by the Australian film production company Wild Candy that was filming a documentary called Little Pandas – The New Breed at the Wolong Panda Breeding Centre in China's Sichuan province. Tragically, the mama bear who was contentedly snacking in the video, Mao Mao, was crushed to death when the walls of her enclosure collapsed during the 2008 earthquake. Mao Mao was given an atypical (for an animal in China) ceremonial burial, with attendees observing three minutes of silence while her weeping long-time keeper arranged two apples and a piece of bread on her grave. When it comes to former president Richard Nixon, current history textbooks tend to focus on that whole Watergate and resignation fiasco. Whatever black marks he accrued during his presidency, one thing that can't be disputed is the olive branch he extended to the People's Republic of China back in 1972. At that time, the land commonly known as "Red China" was a mystery to most Americans, and it was a major domestic coup when President Nixon met with Chairman Mao Zedong. The two countries had been staunch enemies for many years and the Cold War was still in effect, but Nixon's statement that "We simply cannot afford to leave China outside the family of nations" so touched Chairman Mao that he gifted the U.S. with two giant pandas, Hsing-Hsing and Ling-Ling, the first two of the species to grace American soil. The bears were transported with great ceremony from Dulles Airport to their new home at the National Zoo on April 16, 1972. Once the pandas were acclimated, as many as 20,000 visitors lined up each day to peek at the cuddly pair. 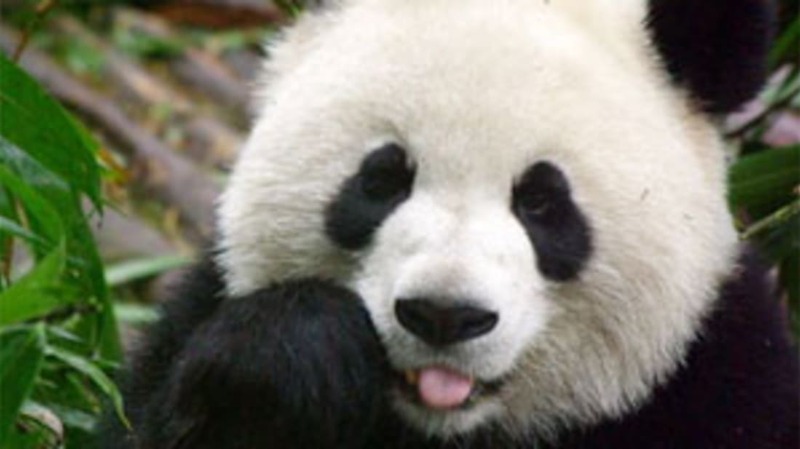 Over the years, the media kept close tabs on the pandas, including their unsuccessful breeding attempts, and the nation mourned when first Ling-Ling died of heart failure in 1992 and then Hsing-Hsing succumbed to kidney failure in 1999.